Few things bring the country together during the year like football and Thanksgiving is no exception. For millions of families, watching football on Thanksgiving is as much a part of the day as turkey, stuffing, or sweet potato pie. Football is deeply woven into our nation's fabric and culture. Game days are our chance to honor all those who serve and have sacrificed on our nation's behalf. Whether united by team or divided by rivalry, the least we can do as sports fans and patriotic Americans is give thanks and show our appreciation to all the brave men and women who serve our great country. As patriotic Americans, we do this because it is the right thing to do. But, there are those in the NFL who have done so as a means to rake in millions of dollars at taxpayers' expense. Thanks to U.S. Senators John McCain (R-AZ. ), Jeff Flake (R-AZ), and Richard Blumenthal (D-CT), we learned the NFL and its billionaire team owners collected more than $7 million in taxpayer dollars from The National Guard! At a time of serious budget shortfalls and rising national security threats, it's wrong that the Pentagon had to take millions out of more critical areas to pay the most profitable sports league on the planet to honor our troops. 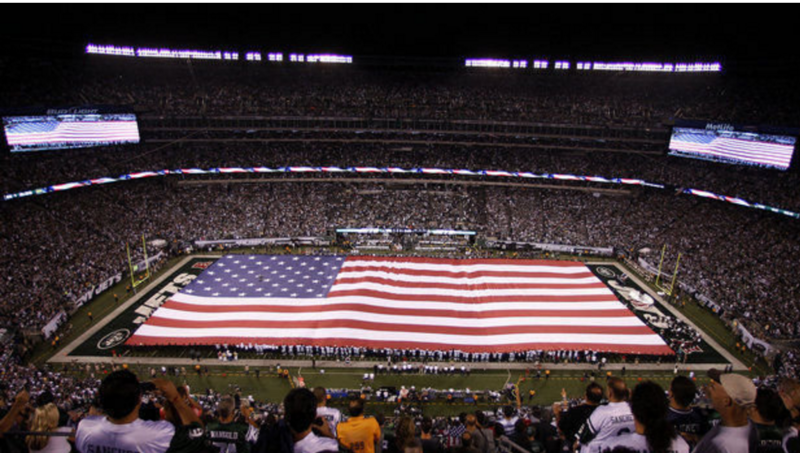 It's for these reasons that the Sports Fans Coalition launched a petition at the start of the NFL season demanding the league and its teams donate all past fees collected for these tributes to charities that support our troops and commit to not charging taxpayers a dime going forward. Backed by several U.S. Senators and more than 30,000 petition signers, our coalition successfully pressured NFL Commissioner Roger Goodell into announcing that the NFL will force its teams to return any "inappropriate payments" to the Department of Defense for honoring troops. Further, just last week, the Senate approved the 2016 National Defense Authorization Act (NDAA) with an amendment that would force the NFL--and other sports leagues-- to stop taking money for honoring the troops. 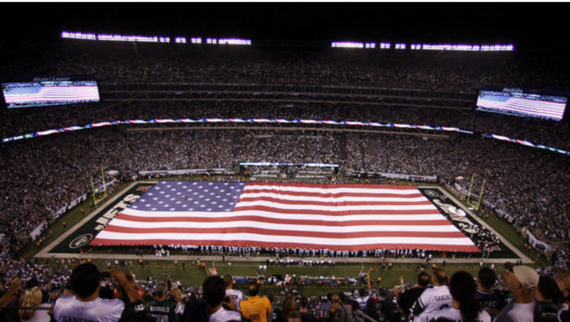 As Thanksgiving approaches, we have every reason to give thanks this holiday season for the dedicated efforts of thousands of sports fans from across the nation who stood up to the NFL and emerged victorious on the field of battle in righting a wrong.